On Friday, May 7 my wife and I experienced generosity at an amazing level. 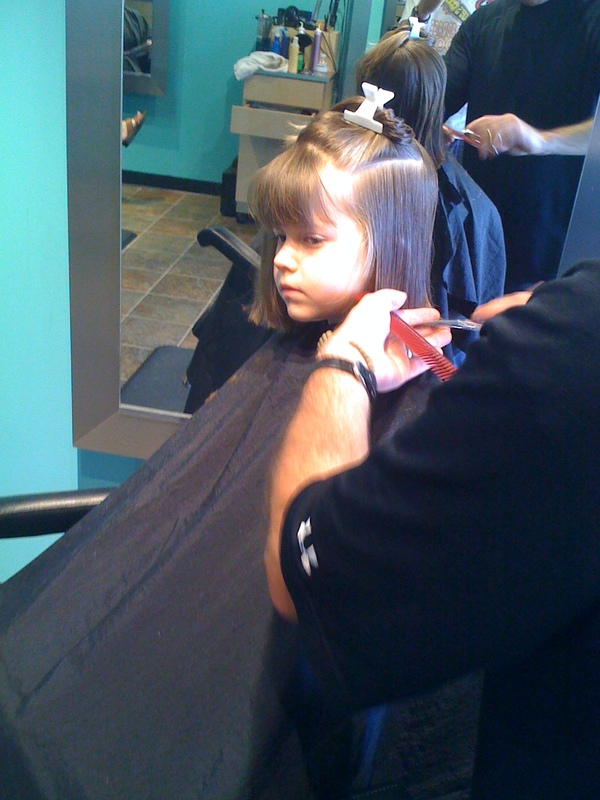 In mid April our 5 year old daughter Anabelle came to us and said she wanted to get her hair cut. 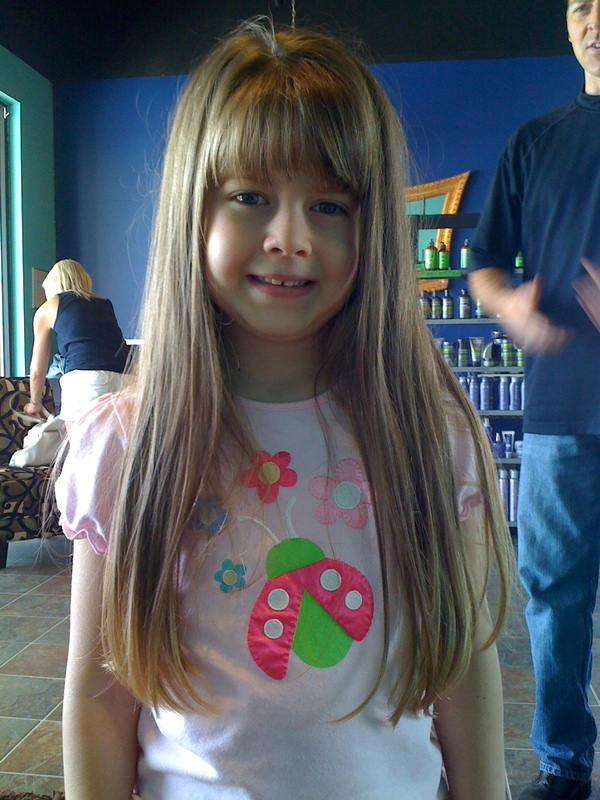 Anabelle has never had her hair cut in her entire life other than a small trim of the bangs and the ends of her hair. Her hair was almost to her waist line. 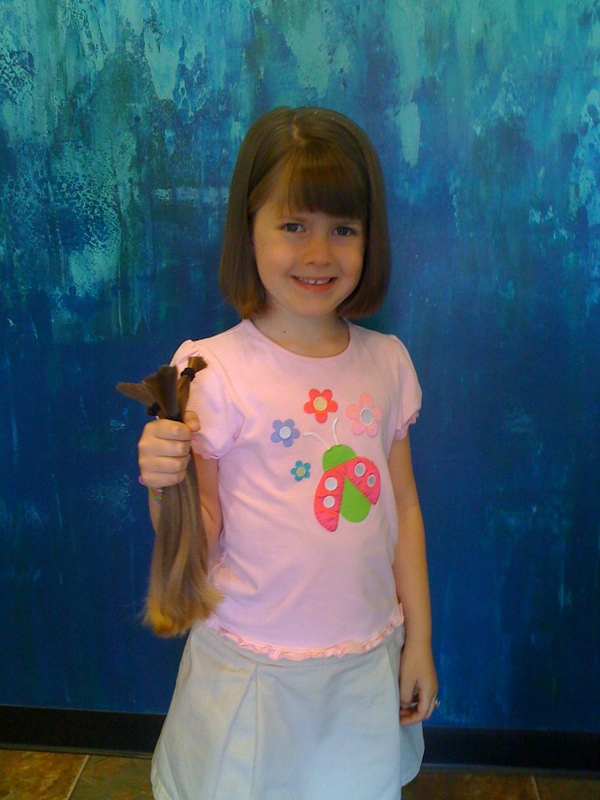 We asked her why did she want to get her hair cut and she said she wanted to give her hair to locks of love. www.locksoflove.org Locks of Love is a public non-profit organization that provides hairpieces to financially disadvantaged children in the United States and Canada under age 21 suffering from long-term medical hair loss from any diagnosis. Anabelle has known a couple of other girls who have done this, but we did not think she really understood. We asked her why she wanted to do this and she said it was because of Ms. Sharon. Sharon was a dear friend of ours who died this past December from cancer. Sharon had received a wig which was made from human hair which had been generously donated. Anabelle knew about her wig and found it very interesting. Obviously she found it more than interesting. Pam and I were blown away by the maturity of a five year old. Anabelle was ready to go that day but mama and daddy needed more time to wrap our heads and hearts around the idea of our little girl beginning to grow up. After a few weeks of discussing it further with Anabelle to make sure she wanted to do it, we went to the salon. We were at the point of no return. Generosity lessons can be learned anywhere and I was taught a big lesson of generosity from my five year old. If we can teach our children to be generous they will grow into generous adults. Our churches need to be focused on teaching our children and youth the biblical principles of stewardship so they will have that foundation to build on as they grow and become adults. It is a long term investment which is certainly worth the time.